As of right now they have two classes, single and twin. The rules are on there website but are old, I have spoke to Jay about them and he will let anyone run as long as you are within arma or uslmra rules, anyone is welcome but try to be close to those rules. as of right now there are no hp limits in the two classes. If he has enough intrest(get ahold of him and let him know) he is interested in adding more classes if needed. If you have any other questions get ahold of Jay Hoska, info below, or me. There website is also below but they still have there info up from the race last weekend but it will be switching to the Springfield race very soon. 5517 N. Farmer Branch Rd. 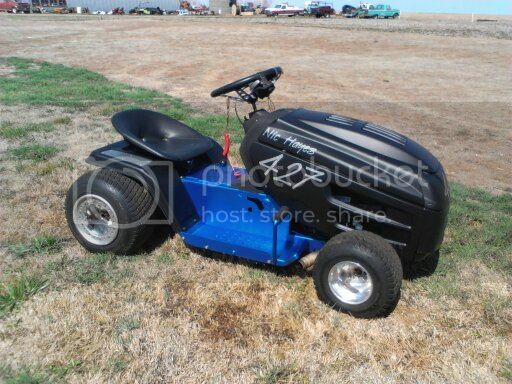 well i didnt make the american mower championship, but this definately sounds like something i could do, could probably get Curtis, James and a few others from our club to go there!! Yea, but they have limited thereselfs by making new rules to exclude my engine. Which means most of the the new builds. Way to go Kansas Outlaws. so who is all planning on going to this race?? nick, curtis, james, im shooting for it, should have my new one done by then!! anybody else on heymow going to this event??? Live like a legend, Ride like a cowboy, Party like a rock star. 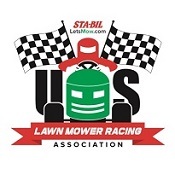 I just talked to Jay the other day about the entry fees for this race and the mowers will be FREE, you will still need to buy a pit pass. $15 for pit pass and $10 for pit that fits two mowers all indoors. Would have been a $20 dollar race entry fee but since we don't race for money they wave the entry fee but all other racers for other class still have to pay. What about a fx or ap neither of mine would fit there "rules"
What engines do your racers have.